As we bid a fond GTFO to the worst year in modern history (what me, hyperbole? ), the box office carries along with what amounts to a bonus opening weekend for most films. While it's the rock bottom calendar configuration for the holidays, it's one of the better ones for the last weekend of the year in comparison to Christmas weekend. All of this boils down to one major fact – with Christmas Eve and New Year's Eve on Saturdays, the best day of the weekend is taken twice by days with natural anti-box office behavior. However, New Year's Eve is slightly less bad than Christmas Eve and by comparison, most films will see significant bumps with a particular benefit to family films – which missed out a lot on Christmas Eve screenings being taken away. Still, no new films get a release on this off-weekend, with all the marketers taking a week off. Therefore, if your film got a good result last weekend, you're sitting quite pretty, and if not, well, you blew one of the prime release weekends of the year. That means we'll see Star Wars Rogue One at the top of the charts yet again after its $64 million Christmas weekend take. 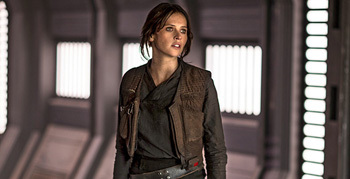 Disney's “Star Wars Christmas special - no not that one, no singing Bea Arthur - strategy” is looking rather savvy after two outings, with over $350 million in the bank domestically for Rogue One. Using the Christmas week like a speed bag, it earned as much in the three weekdays following Christmas as it did the entire weekend – which in the magnified territory that Star Wars is dealing with here is some serious change. Not quite a family film, but not *not* a family film, it should get a medium-sized boost and for this weekend, it should see a take in the area of about $75 million, putting it at about $450 million by the end of New Year's Day.